It is often said that scuba diving, like so many sports, began as a male pursuit. Typical stereotypes were used to justify this claim, such as scuba diving being too extreme and dangerous a physical activity for women to take part in. Today, on PADI Women’s Dive Day 2017, we know this to be nonsense. Women have taken up scuba diving in droves and have proven time and time again that they can dive as well as men can, if not better. Countless women throughout history helped to blaze the trail for today’s female scuba divers: setting firsts, breaking records and smashing depth limits. We’ve made a (non-exhaustive) list of women who have made significant contributions to scuba diving throughout history and some contemporary women who are showing the scuba world how it’s done. Growing up in Long Beach, California, Dottie Frazier had ample opportunity to become acquainted with life on the sea. Her father, who had expected Dottie to be a boy, decided to teach her all of the things he would have taught a son. Dottie was swimming by three and rowing her own rowboat by six. She learned how to fish with the men and spent lots of time working on fishing boats. 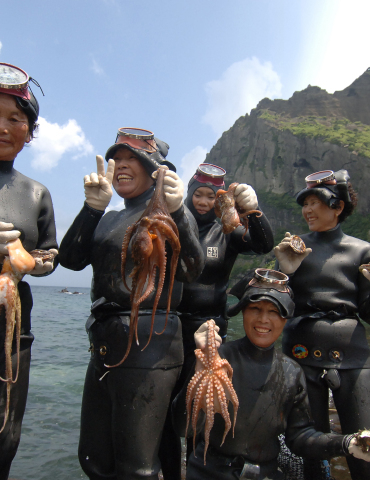 Her father taught her how to freedive and she became an effective spearfisher and lobster fisher. She became a formidable competitor at local ‘diving derbies’, or spearfishing competitions. Dottie lived a life of many firsts. In the 1940s, she started teaching freediving and in the mid-1950s became the first female scuba instructor in the USA and maybe even the world. To become a scuba instructor, Dottie proved prevailing stereotypes foolish by earning top honors in a scuba course that was deemed too physically demanding for women to complete. Dottie also trained as a hard-hat diver, taking part in commercial diving for two years. Finding it too restrictive, however, she branched out to start her own dive business, The Penguin Dive Shop, becoming the first dive operator owned and operated by a woman. Dottie also got into the manufacturing of dive equipment, launching her own line of exposure suits for sale to the US Navy and the general public. While Dottie was the first of many women to follow in her footsteps, what is most amazing about her achievements is the fact that they were achieved during the 1940s and 1950s, a time when American culture was very conservative and women’s roles in society were mostly relegated to cooking, cleaning and child-rearing. Dottie Frazier was inducted into the Women Diver’s Hall of Fame in 2000. Source: International Legends of Diving. Shirley Lee’s love for the water and swimming led her to become a pool lifeguard at the age of 16, a job she kept for many years. In 1965, while lifeguarding at a pool in Washington D.C., she met Dr. Albert Jose Jones. Dr. Jones was a founding member of The Underwater Adventures Seekers Scuba Diving Club (UAS), an organization founded to train black scuba divers. At her request, Dr. Jones taught Shirley how to dive. She received her scuba certification and was the first woman to become a UAS member the next year. Thus began a long and illustrious love affair with scuba diving. Since her certification, Shirley has logged well over 1,000 dives in places as diverse as the Caribbean, the Red Sea, southeast Asia and, of course, her homeland of the USA. Shirley became a founding member of The National Association of Black Scuba Divers (NABS) and became a mentor within that organization, helping to train many divers over the years. She has received numerous awards and accolades, including the Diver of the Year award in 2003, awarded by the National Association of Black Scuba Divers. Shirley Lee was inducted into the NABS Hall of Fame in 2009. Where to begin? If there was ever a pioneering female scuba diver, it is Dr. Sylvia Earle. Whether she was scuba diving to study seaweed, piloting submersibles into the deepest depths of the ocean, or wearing full body diving suits and walking on the seafloor, diving in one form or another has always been integral to her work. Dr. Earle has arguably contributed more to scuba diving, ocean science and conservation than any man or woman throughout history. She is affectionately referred to as ‘Her Deepness’ by her peers and fans alike. Trained as a marine biologist, Dr. Earle has achieved so much in the world of science and beyond as a conservationist, oceanographer, explorer, author and lecturer. The beginning of Dr. Earle’s career was dedicated to science and characterized by an incessant drive to learn about and explore life beneath the waves. In 1970, Earle was selected to lead the first all-female team of aquanauts on a NASA-funded scientific mission called TEKTITE II to an undersea laboratory. In 1979, she made a deep-sea dive in a JIM suit, a special pressurized diving suit, to the astonishing depth of 380 meters (1,250 feet), setting a depth record in the process. 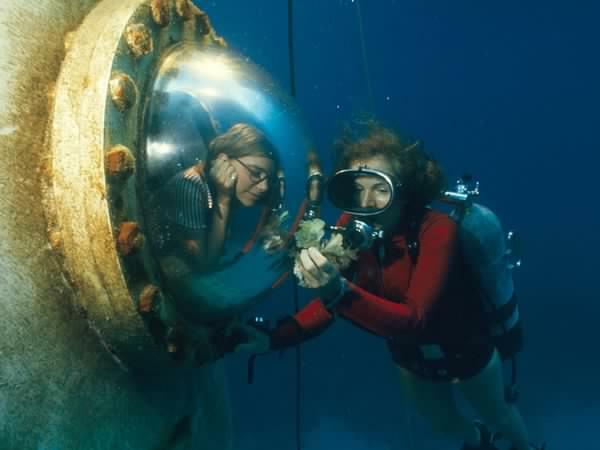 In the 1980s, along with her husband Graham Hawkes, Sylvia started Deep Ocean Exploration and Research (DOER), a company that designed and manufactured deep sea submersibles. At DOER, Dr. Earle oversaw the creation of Deep Rover, an underwater submersible and research vessel that she piloted to a depth of 1,000 meters (3,280 feet). In 1990, Earle left the company to become the first female Chief Scientist of the National Oceanic and Atmospheric Administration (NOAA), a position she held until 1992. Later in life, Earle changed her focus to marine conservation, and is responsible for contributing to global ocean conservations campaigns of all types. From 1998 to 2002 she led numerous Sustainable Seas Expeditions in her capacity as National Geographic Explorer-in-Residence. 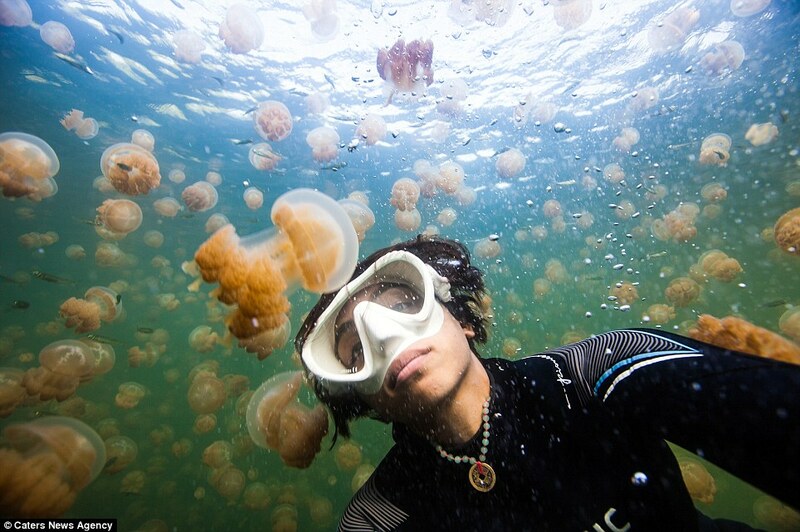 These missions focused on studying U.S. National Marine Sanctuaries. After winning the TED Prize, which recognizes extraordinary individuals with the vision to tackle the biggest global problems, Earle used the winnings to start her own conservation organization, Mission Blue, to put into practice her idea of creating ‘Hope Spots’, areas of the ocean identified as vital to the health and survival of the oceans and life on Earth. To date, there are 76 Hope Spots in various regions around the world. Now 82 years old, Sylvia Earle has dedicated her life to the ocean and serves as living proof that people can accomplish almost anything if they set their minds to it. 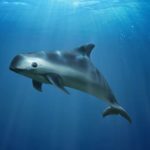 Source: National Geographic, Encyclopaedia Britannica, and Mission Blue. Zale Parry jumped on the scuba diving bandwagon almost immediately after it left the station. 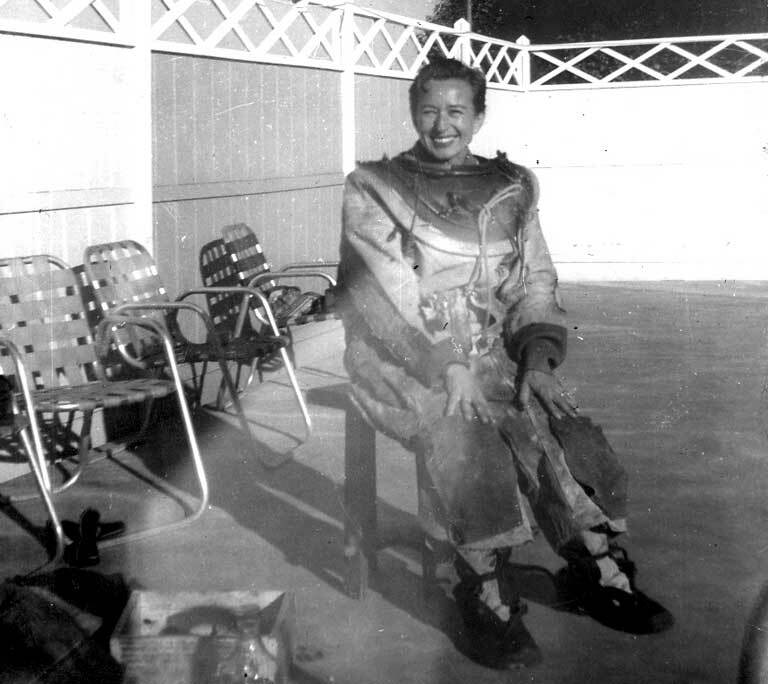 Brought up on the shores of a lake in Wisconsin, she took up freediving from an early age and made the transition to scuba diving in the early 1950s when her husband, Parry Bivens, purchased an Aqualung open-circuit scuba set—part of one of the first batches sold in America. She and her husband quickly got involved in the burgeoning scuba industry. They started their own company, Scientific Underwater Research Enterprises, which focused on testing new scuba diving equipment. They even collaborated on the creation of the very first hyperbaric chamber made for civilian use in California. While testing a new regulator, Zale dove to 64 meters (209 feet) and set a new depth record for women. The dive was highly publicized and Zale ended up being featured on the cover of Sports Illustrated in 1955. Zale became the third woman to graduate from the L.A. County Underwater Instructor Certification Course, which taught some of the first scuba instructors. She then put her scuba skills to good use on television, appearing on the television series Kingdom of the Sea. She soon became the face of female diving in her role alongside Lloyd Bridges on Sea Hunt, a popular American TV show about a former US Navy diver and his underwater adventures. In fact, Zale was the one who taught Bridges how to scuba dive after he was given the role. She served as a stunt double, acted in the show and was named technical director, assisting with underwater filming. Beyond television, Zale became an accomplished underwater photographer, co-founded the International Underwater Film Festival, and co-authored a book on the history of recreational scuba diving. Zale Parry was inducted into the Women Divers Hall of Fame in 2000. Source: International Legends of Diving, Scuba Diver Life and TDI-SDI. Lotte Hass with her husband Hans. Photo: AFP/Getty. While Jacques Cousteau is often credited as the first successful underwater videographer and producer of films about the ocean, the truth is that Lotte Hass and her husband Hans had him beat. Their film Under the Red Sea won first prize at the Venice Film Festival a full five years before The Silent World won the Prix d’Or at Cannes. Often called the ‘First Lady of Diving’, Lotte Hass “helped shatter the glass floor that had long kept women from the ocean’s depths,” wrote The New York Times in her obituary in 2015. Lotte began her career as Hans’ secretary but had her sights set on becoming a scuba diver. 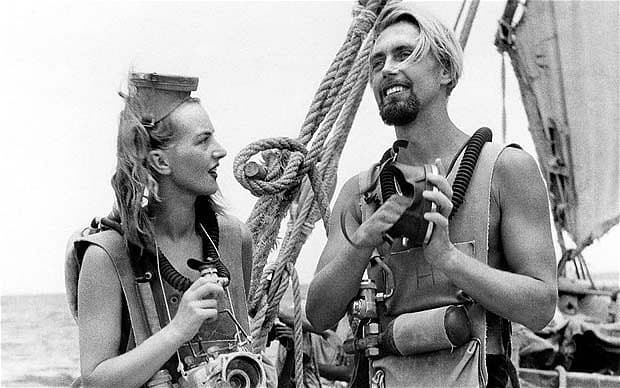 After learning to dive, she implored Hans to let her accompany him on an upcoming expedition to the Red Sea. 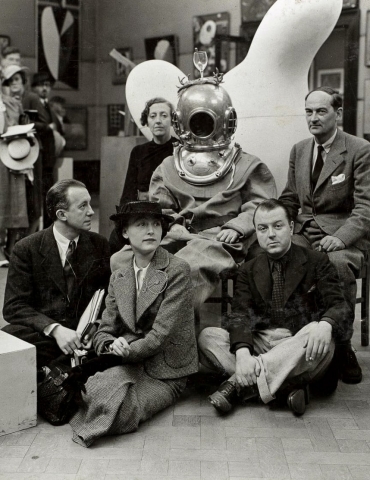 After much opposition—Hans and his fellow team members felt having a woman on board would be distracting—Hans’ filming company coaxed him into recognizing the value of having a beautiful female diver as the star of their films. Lotte went on to a successful career as an underwater model for Hans’ photos and movies, diving in a revealing bikini as opposed to the customary wetsuit. Her beauty and aquatic skills made her an instant star. Eventually she learned how to use a camera herself and became photographer and videographer in her own right. The Austrian couple went on to achieve fame in Europe as producers of TV series documenting their underwater explorations, including Diving to Adventure and The Undersea World of Adventure. Lotte Hass was inducted into the Women Divers Hall of Fame in 2000. The above female pioneers have now passed the torch on to a new generation of women who are remaking the scuba industry and reaching new heights (and depths) every day. Becky Kagan Schott specializes in capturing top-quality video and photos in some of the most extreme underwater environments—think: under ice in the Bering Sea, sunken shipwrecks sitting 90 meters (300 feet) deep in the Great Lakes, and inside dark caves. The Emmy Award-winning camerawoman and technical diver has had her work featured on such major networks as National Geographic, Discovery Channel and The Travel Channel. Heather Armstrong has taken the technical diving world by storm. She has over 7,000 dives under her belt, thousands of them in overhead environments and using staged decompression and mixed gas. Heather has extensive experience diving in deep caves and shipwrecks and has participated in multiple television and scientific research projects. She is a NAUI Lifetime Member and Course Director and serves as the NAUI Hawaii Regional Manager. Jill Heinerth is not just one of the best female cave divers in the world but one of the best cave divers, period. Fearless but professional, she has dived deeper into the world’s caves—what she calls the ‘arteries of the Earth’—than just about any cave diver alive today. Jill is also a regular contributor to the biggest scuba diving magazines, including Scuba Diving magazine and DIVER magazine. She relates her experiences and imparts knowledge in gripping articles accompanied by amazing photos she takes herself. A true dive professional, Jill has received numerous awards for her life’s work. Learn more about Jill on her website and read her articles on Scuba Diving magazine. Today Nadia Aly spends most of her days diving and taking underwater photos and videos and she has earned it. Nadia is the CEO and Founder of Scuba Diver Life, one of the largest digital scuba diving websites. Scuba Diver Life produces original content on all aspects of scuba diving, including training, dive destinations, freediving, ocean conservation and more. The company has also branched out to providing dive excursions to some of the world’s best diving destinations. Follow Nadia on Instagram and view her photography on her website. Some call her the shark whisperer, others a daredevil. One thing is for sure: Ocean knows what she is doing. Growing up surfing and diving in Hawaii and the coast of California, Ocean has been around sharks almost her entire life. She developed a relationship with them from a young age and decided to get into marine biology, focusing on sharks. Today, she is a professional scuba instructor advanced freediver. 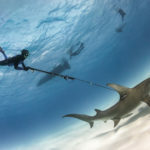 She has dedicated her life and career to protecting sharks and leads daily dives that bring the public up close with sharks, with the purpose of showing a different side of the ocean’s apex predator. Follow Ocean on Instagram and learn more on her website. Patricia Wuest started her career as an assistant-editor in 1992 and has since climbed the ladder to become editor-in-chief of both Scuba Diving magazine and its sister publication Sport Diver. She has been diving for over 22 years and her experience informs her ability to lead the scuba industry’s two biggest publications. Sarah Richard is the creator of the Facebook Group and online community Girls That Scuba. Created to connect with other woman scuba divers, the group expanded quickly and today is the largest women-only scuba diving group on Facebook. Sarah started the group when she was one of the only female divemasters working at Truk, Micronesia, for the purpose of connecting with other female divers. Today, a year after its inception, the group boasts over 8,000 members in its private Facebook Group and tens of thousands of visitors to its website. Happy PADI Women’s Day 2017 to all of the women divers out there. Each and every one of you makes the scuba world better. Dive on.